What does Carat or Karat mean? Carat in jewellery can either refer to the weight of a gemstone, or the fineness of gold. Confusingly, in the UK, we use the same spelling for both. In the US, K (or K, Karat) is more commonly used when describing gold fineness and ct (carat) is used when discussing the weight of a gemstone. Both in gemstone weight and gold fineness, the use of the word carat/karat have links to weight. 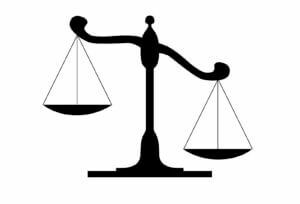 Back when people had only balance scales to find out the weight of any object, the weight was measured by counting the number of unit weights needed to counterbalance it. 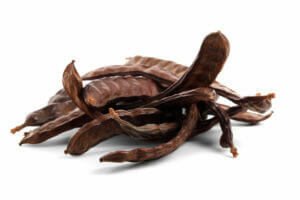 Carob seeds were deemed a suitable unit weight because they appeared to have a uniform weight. Our modern word ‘carat/karat’ derives from the Greek and Latin words for Carob – Keration and Ceratonia. This links to metal fineness because of a medieval coin called a Mark. A Mark weighed 24 carats (24 carob seeds). It was not feasible to use pure gold for these coins as it is so soft, so copper and other metals were added to produce a more hard wearing alloy. Therefore the purity of the coin’s gold content was expressed by the proportion of its carat weight made up from pure gold. The same principle is used today when describing the gold content within a piece of jewellery. In the UK, we tend to work with 9 or 18ct gold. 9ct gold is 9/24 parts pure gold, and 18ct gold is 18/24 pure gold. Likewise, in the US, 10K is 10/24 parts pure gold and 14K is 14/24 parts pure gold. 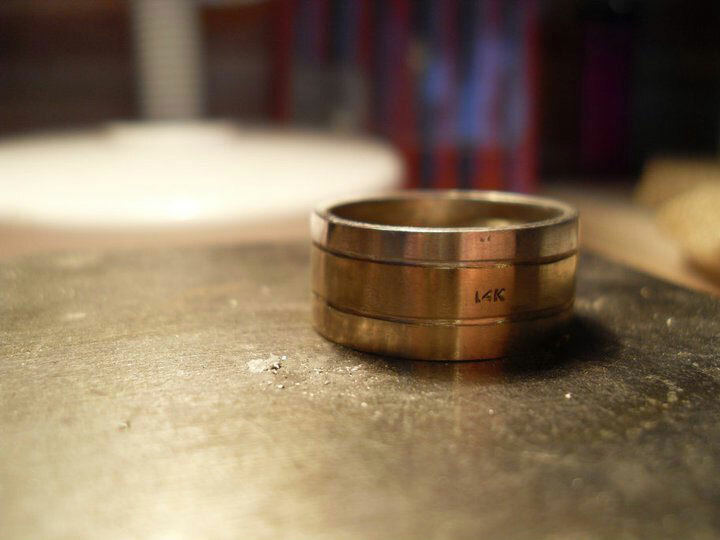 A bespoke wedding ring combining three different metals. The centre band is a 14K white gold ring bought in Mexico. 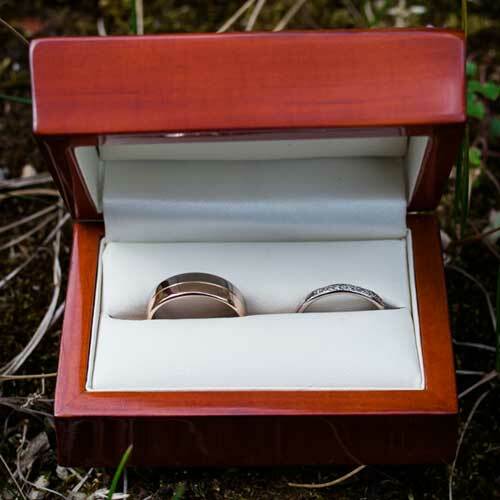 US jewellery keeps it clear and simple, and any marks to indicate fineness will simply state 10 or 14K. In the UK, we make it a little more cryptic for consumers by instead stamping jewellery with a millesimal fineness mark (how many parts out of 1000 are made up from the pure metal). For example, 9ct gold = 375 and 18ct gold = 750. The more gold, the better, right? A lot of high-end jewellery shops will preach that the higher the gold content, the better. When we were designing my husband’s wedding ring, I took him to several jewellery shops to try on various metals to gauge which colour of metal he preferred next to his skin tone. To us, the colour and how it looked against his skin was far more important than the ‘quality’ of the metal. We were actually laughed out of several shops when we talked about wanting to combine 18ct white gold with 9ct rose gold! You can read more about his design here. I personally do not have any snobbery around the fineness of metals and will just as happily work with 9ct as 18ct gold. I will happily combine 9 and 18ct golds – I think 9ct rose next to 18ct white is a stunning combo! To me, the overall look of the piece and fitting it within my customer’s budget is far more important than the so-called quality of the metal. When looking at diamonds, people will discuss the 4 C’s. One of these ‘Cs’ is carat and this refers to the weight of the stone. Carat is used to describe a unit of weight in all gemstones. One carat equals 200 milligrams (0.200 grams), so a five carat stone would weight 1g. The larger the carat size of a stone, the higher the value. This is down to scarcity value. Large pieces of gemstone which are ideal for cutting are rarer than smaller pieces; therefore they demand a higher cost per carat. 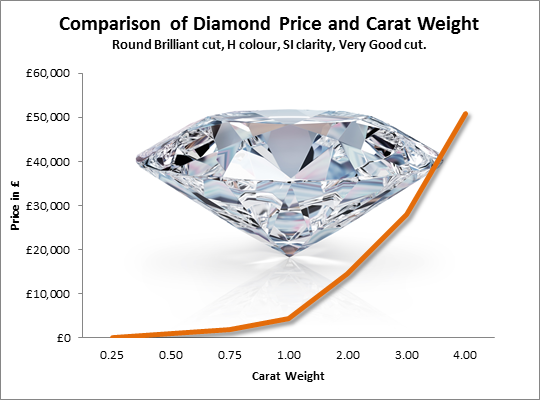 Knowing the carat weight is interesting and can be important for insurance purposes, but once the gemstone is set in a piece of jewellery, its visual size is actually more important. When I design a piece of jewellery, I tend to discuss stone size in mm rather than carat weight. If you would like to read more about the 4 C’s in diamonds, click here. Hopefully, this article clears up any understandings about this rather strange piece of jewellery jargon. I’d love to hear from you if you have any further questions on this subject or if you have a hallmark on a piece of jewellery you need some help deciphering.